Seating is among our newest offerings at Currey & Company, the custom upholstery program very popular with interior designers who like to choose their own fabrics. When we feature these products, we file them under this tag. Some of the best places to see how inventive our Vice President of creative, Cecil Adams, is are our showrooms, as he plans out the upholstery fabrics for each market to set a mood and reflect trends with our seating. You may see our Vestibule Chair with its intricate gothic elements covered in an edgy fabric in a vignette near our Vinton Chair with its open geometric framework on the back that reflects a modern mood. Holding court in the center of the showroom my be the Garbo banquette, settee and chairs covered in a luminous powdery blue. Like a faceted gem, the sophistication of the angular profile of the Marella Chair is formed by articulations in wood surrounding its upholstered back. It has graced our showrooms covered in a surprising array of fabrics that change its personality each time. Clint Smith interviews Barry Dixon at the Design Influencers Conference on the stage designed by Currey & Company. Photo by Ben Rose. Earlier this month, Atlanta was sizzling with heady energy as the Design Influencers Conference took place. We set the stage for the speakers who wowed the crowd with their savvy pertaining to so many subjects. In the above photo, Clint Smith sitting on our Garbo chair interviews Barry Dixon seated on our Garbo settee. The Mermaid Glass Table, in the Aviva Stanoff Collection, glimmered in the lights, while two Harrelson Nickel Floor Lamps lit the scene. Atop our Morneau Silver Console Table, the natural beauty billowing in brilliant color was a gorgeous floral arrangement designed by the esteemed Atlanta floral artist Michal Evans. 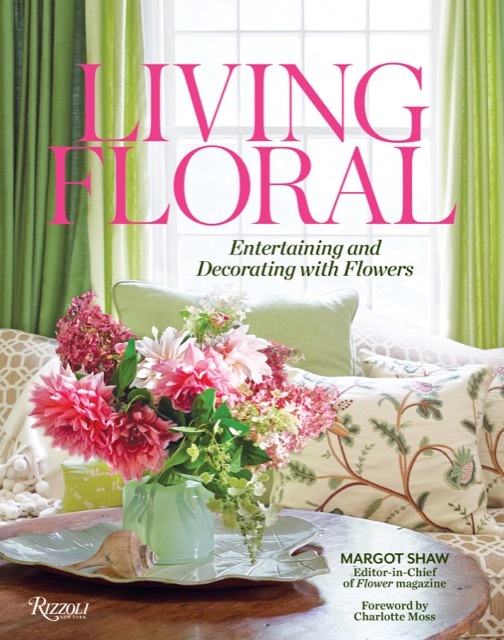 The cover of Living Floral: Entertaining and Decorating with Flowers, by Margot Shaw. 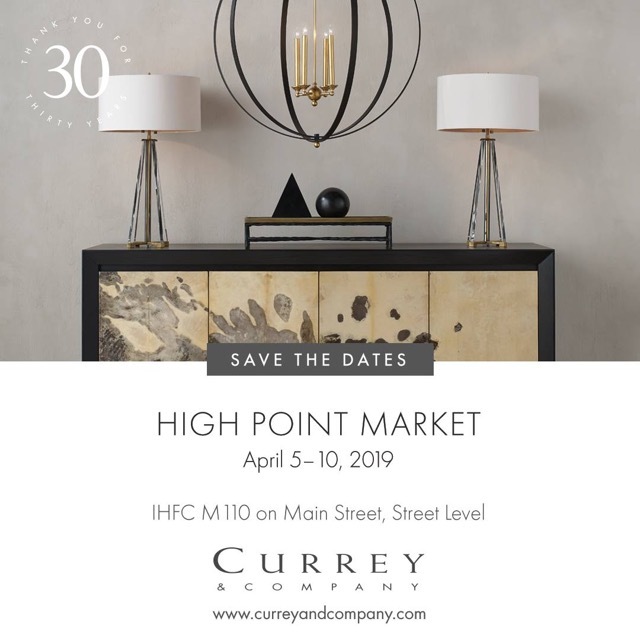 As is always the case, there is little time to rest between the dynamic events we all look forward to attending, and High Point Market is just three weeks away. 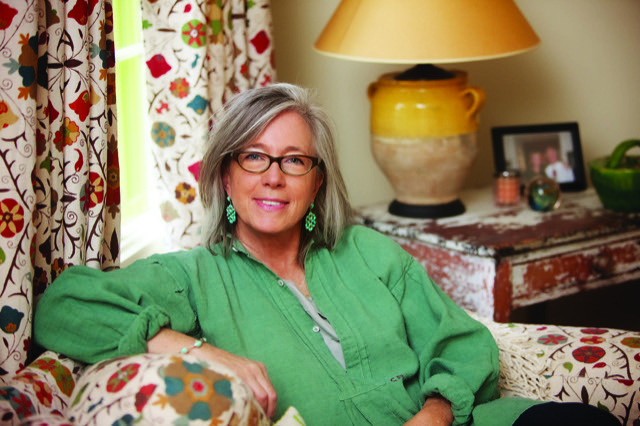 We have a number of happenings planned that we know you won’t want to miss, one of which is a book signing with the gracious editor-in-chief of Flower magazine, Margot Shaw. 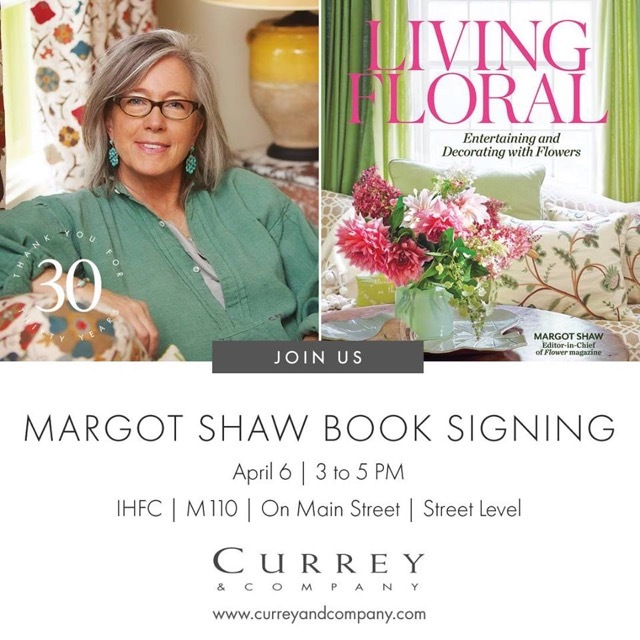 Margot Shaw, editor-in-chief of Flower magazine will sign books in the Currey & Company showroom during High Point Market. An example of the lush natural beauty contained within Living Floral. Having had a sneak peek at the book, we can say this perfectly summarizes page after lush page that illustrates how some of the industry’s most popular and respected designers and tastemakers entertain. Among them are Cornelia Guest, Barry Dixon, Alex Papachristidis, Bunny Williams, Thomas Jayne and Charlotte Moss. Stop by our showroom on Saturday, April 6, from 3 to 5 p.m. and buy your copies (it will make a wonderful gift as Spring roars forth), as she will be signing them that day. More details are below in the section of this post highlighting all of the events on tap. 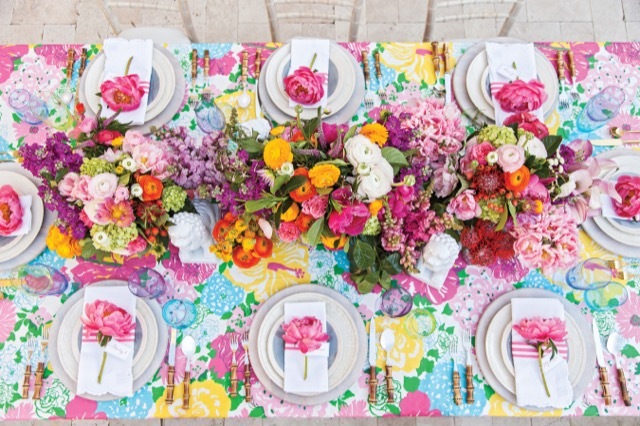 Living Floral is filled with inspiration for entertaining, this photograph an example of the richness of the images. Before we delve to the myriad happenings during High Point, we thought we’d share with you a few questions we posed during an interview with Shaw. Our visuals for the Q&A are several of our new offerings this Market, each one ornamented with artistic renderings of flora. 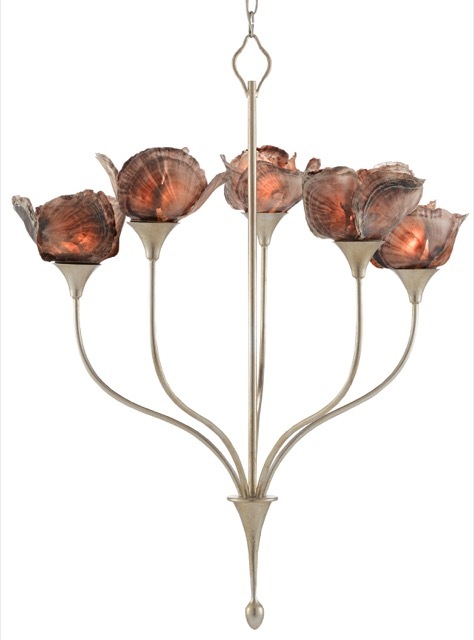 The Catrice Chandelier blossoms with light as the natural Capiz shells effervesce when the lights are switched on. C&C: The Foreword of the book by Charlotte Moss is so strong. Do you find that the friends you’ve made in the design/floral industry have brought richness to your life? MS: So much so. What this magazine has done is give me access to the greats: it’s like a tutorial on beauty that spans the spectrum of design. Even though I was raised by two aesthetes and grew up in Europe, I’ve learned to approach beauty so much more dynamically thanks to my relationships with each of them. In fact, what I’ve gained from the professionals like the ones I’ve featured in the book is like drinking from a fire hose! 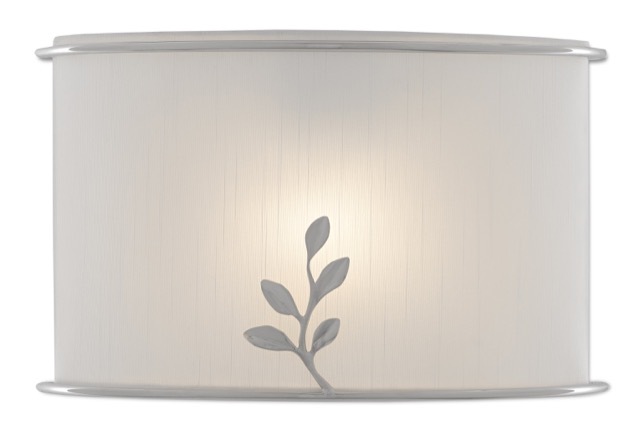 Our Driscoll Wall Sconce has a sprig of petite leaves reaching toward the light from the bottom circular band holding the off-white shantung shade in place. C&C: In the opening of the profile on Cornelia Guest, you note that gracious living can be learned. Have you received communications from people who have been enriched in this way from reading the magazine? MS: Cornelia, who was so immersed in beauty her whole life—from her mother to friends to fashion icons like Halston—has a department in the magazine called Be My Guest in which she incorporates her mother’s things. I heard from people that they are glad we are not trying to be hip and new because they believe using accessories they have collected and love for creating arrangements and tableaux is preferable to them. They tell me they become inspired to try things with their own treasures, and it’s this level of education and engagement that inspires me in return. 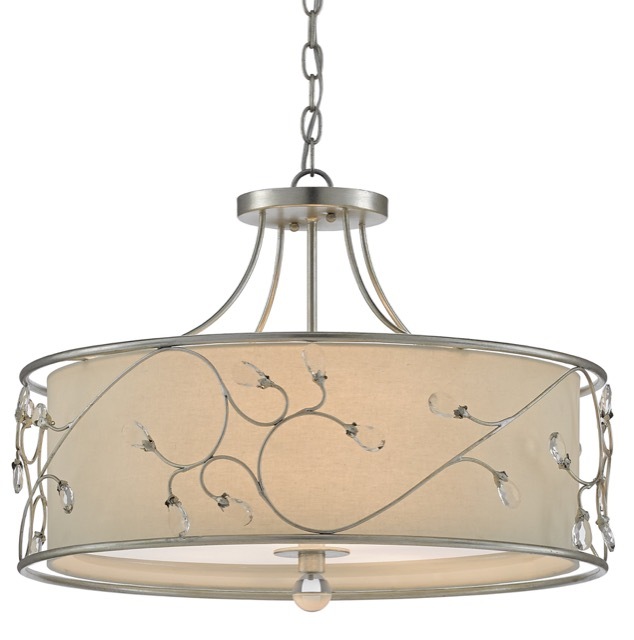 With a nosegay-like sweetness running along its outer shade, our St. Clears Pendant has looping stems holding crystal buds. C&C: For long-time apartment dwellers, seeing the spaces in the book, such as Charlotte Moss’s garden room, can incite envy. Is there anything in the book about which your senses have said, “I wish I could have that!”? MS: Of course! We don’t want to overwhelm people by giving them things they can’t obtain but we do want to inspire. If you take away one thing from the book, that’s great. Wicker covered salt and pepper shakers were an ah-ha for me—I’d never even thought these would exist! 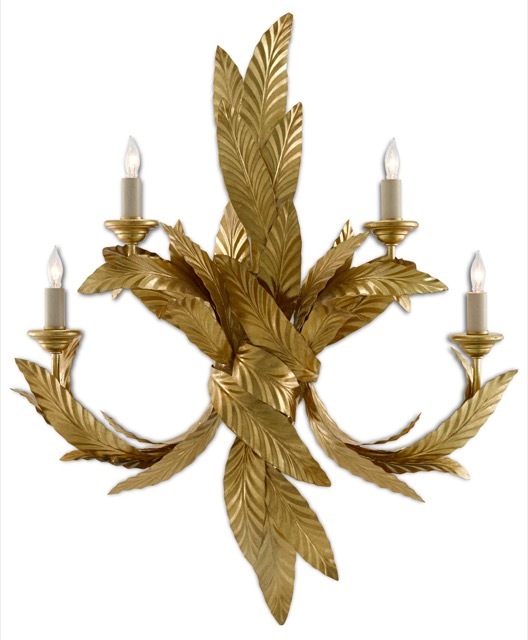 Our Apollo Wall Sconce, designed by Iian Thornton, evokes the crowns with which its namesake god was often adorned and the tree into which Daphne morphed as she tried to escape his notice. We can’t wait to get our hands on the book, which has a section that includes floral arrangement how-tos. If you truly love flowers (and who doesn’t), this is a book for you, one that is coming out just as the first flowers in the garden push their blossoms above the ground. High Point Market is Here Again! The Art of Collecting, Saturday, April 6, from 11 a.m. to noon. Moderated by internationally recognized designer Gary Inman, The Art of Collecting is the final panel in a series focused on art, travel, culture, and design. Collecting is one of the most universal and profound of human pursuits. It is a form of self-expression and legacy-making that often begins in childhood and can lead to a lifetime of joy. A collection can be as simple as stamps or baseball cards, or as rare and priceless as museum-quality antiquities. Regardless of value, nothing quite rivals the thrill of the chase! 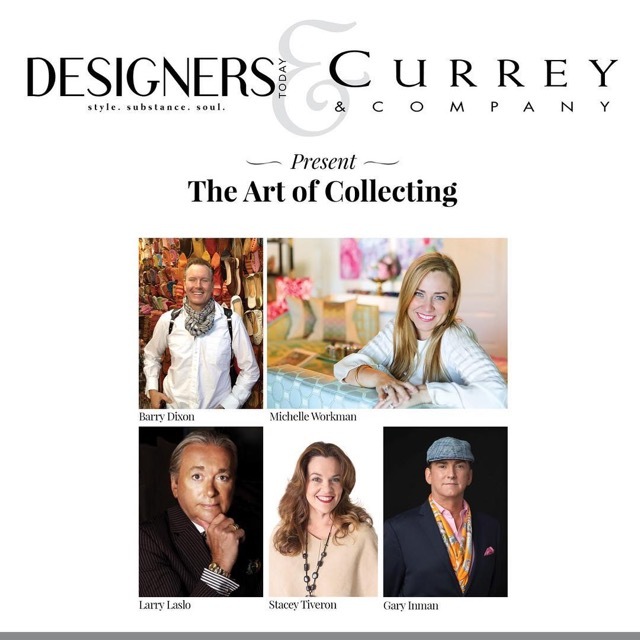 This panel, which includes Barry Dixon, Michelle Workman, Larry Laslo and Stacey Tiveron, explores the personal passion for collecting, how designers build collections for their clients, and where they shop. 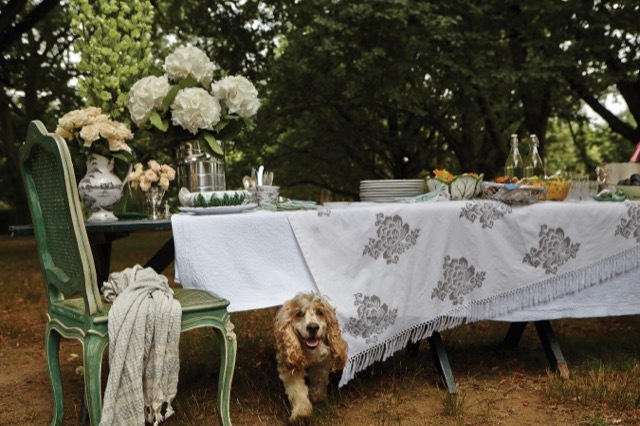 Margot Shaw Book Signing, Saturday, April 6, from 3 to 5 p.m.
Meet Flower Magazine founder Margot Shaw and purchase a signed copy of her new book Living Floral: Entertaining and Decorating with Flowers (Rizzoli). Shaw presents portraits of top tastemakers who share their joy of flowers at home. This inspirational and instructive book includes Charlotte Moss, Bunny Williams, P. Allen Smith and many more who show how to incorporate flowers in everyday home décor. It also presents numerous ways to entertain with flair. 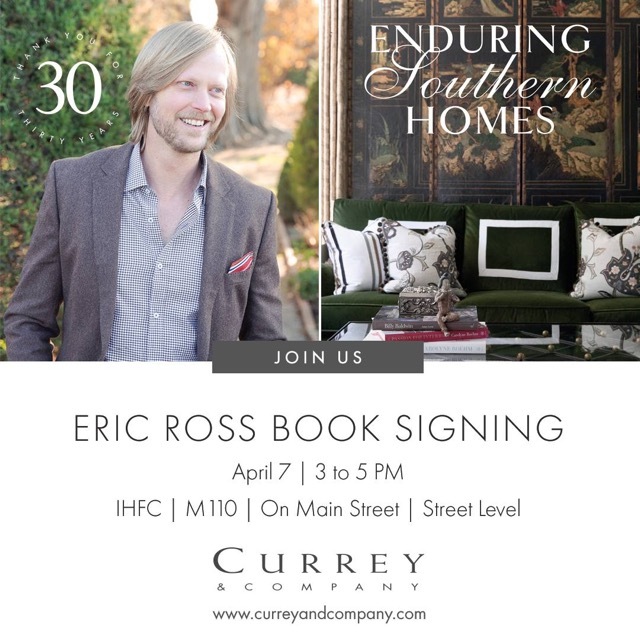 Book Signing with Nashville’s Eric Ross, Sunday, April 7 from 3 to 5 p.m.
Nashville interior designer Eric Ross will be signing copies of his new book Enduring Southern Homes (Gibbs Smith Publisher). People who embrace traditional style have a fondness for heritage and stories. For more than twenty years, Ross has injected fresh color and fabrics into time-honored design concepts to create interiors with updated Southern style. The book showcases beautiful projects and gives tips on how to create your own enduring home, regardless of where you live. 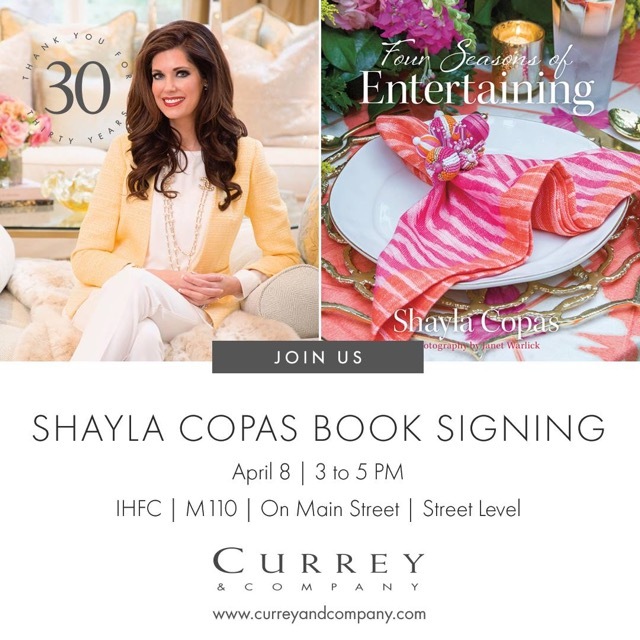 Shayla Copas Book Signing, Monday, April 8, from 3 to 5 p.m.
Meet award-winning designer and author Shayla Copas and buy a signed copy of her new book Four Seasons of Entertaining (Schiffer). Copas describes her design aesthetic as “Southern glam” appeal. She is known for the natural beauty she achieves in her event design and has executed more than fifty major happenings that include the Arkansas Inaugural Ball. The book showcases a tour of sixteen glamorous seasonal celebrations with everything from floral to cuisine. Let us know you’ll be attending by visiting our Events page on Facebook and click “going.” We look forward to seeing you all during yet another jam-packed Market in our showroom at IHFC M110 On Main Street, Street Level! “A Fascination for Natural Beauty” was written by Saxon Henry, a content strategist and The Modern Salonnière. 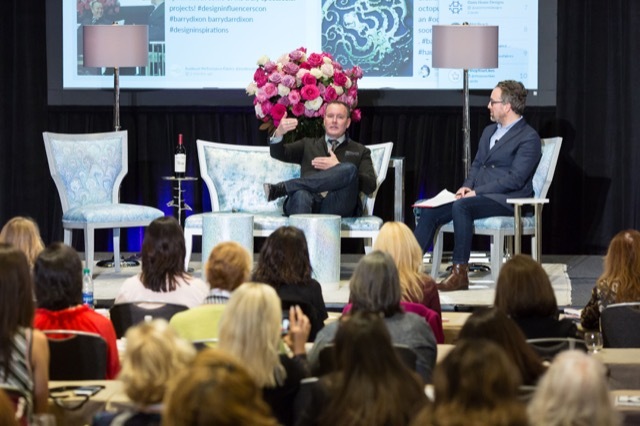 This entry was posted in Currey & Company, Entertaining, Market and tagged book signing, Chandeliers, Company Happenings, design influencers, Events, floor lamps, Floral, Garden, glass, Lighting, Natural, seashell, seating, tabletop, Wall Sconce on March 14, 2019 by Saxon Henry.